There are many reasons to support Epiphany, but here are two: Patrick Alfama ‘07 and Steeve Joazard ’04. Both are real Epiphany stars, two of the terrific graduates who have come back to teach the next generation of kids. They smile all the time; they know every student is full of promise and help each one realize that potential. Graduates like Mr. Alfama and Mr. Joazard are so important here, and you can read below to learn more. Whether serving as teachers or tutors or trustees or donors, our graduates are a big part of the reason Epiphany is so effective. Thanks to them and the rest of the team, Epiphany can meet real needs and change the trajectory for so many great kids. Thank you all from the bottom of my heart for making all this possible. This month’s spotlight goes to our friends at Liberty Mutual. They have been invaluable partners in our work including generous financial support of our Graduate Support Program. The work Erika Forrest does with her team (Sabrina Correia ’07, Barbara Guilfoile, and Johnny Wilson ‘04) is crucial to the success of our students. Summer jobs, after-school tutoring, help with financial aid, college guidance…it all makes a real difference, and Liberty Mutual makes that possible. In addition to Liberty’s financial support, Gary Morton, Director of Give with Liberty, took the time to participate in Epiphany School’s Career Day event last spring where he shared his inspiring story with our 7th and 8th graders. He gave them some great advice. The students really enjoyed meeting him and were impressed by his hard work and determination to be successful. 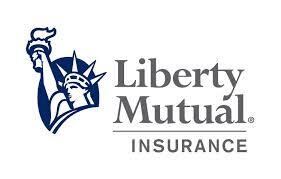 Thank you Liberty Mutual for standing with us! Your abiding support has a big impact. Gary Morton at our Career Day event. This month’s Epiphany Star goes to [drum roll please]...Patrick Alfama! Patrick is an Epiphany School Graduate from the Class of 2007 (and the proud older brother of two other Epiphany Graduates, Derrick ‘12 and Keanu ‘15). While at Epiphany, Patrick had great teachers who gave him the freedom and confidence to try new things and to believe in his ability to succeed in all aspects of life. As a high school student, Patrick worked at the B-Safe Summer Camp housed at Epiphany. After graduating he completed a year of service with CityYear, after which he attended Bunker Hill for two years while working at the Roxbury YMCA. “After working at City Year and at the Y, I was hooked. I knew from then on I wanted to work with kids like myself from my community and help them make something positive of their lives in the way that so many people helped me,” remarked Patrick. It was, therefore, a “no brainer” when Patrick was offered the opportunity to come back to Epiphany to work in the Graduate Support office. He was back where he belonged. Patrick playing with a few kids at the Early Learning Center. Ms. Aybar and Mr. Joazard ‘04 entered the 7th and 8th graders into a writing contest via Young Writers through which they wrote a number of short stories or “mini-sagas” inspired by the popular television show, “Stranger Things.” Students had to pick a selection of story starters provided by the contest sponsors to write their own “mini-sagas” – a story written in just 100 words! The gravity-less room was full of commotion. Everyone was freaking out. They were trying, and failing to get into contact with the blue-green sphere of rock we call home. Screams and yells drowned out everything else. Distress was evident on everyone’s face. In the distance, a little speck began to grow larger as it neared Earth. Dread gripped the crew. Minutes later, the room was silent. Our mouths were gaping while looking out of the window. What we were looking at were the remnants of Earth, our planet, our home. It was a late Halloween night like no other, and a little kid rang my doorbell. He had a black costume with no mask. His eyes looked worn out and his clothes were ripped up. He had a knife covered in what looked like dark blood. He said in a soft tone, “Trick or treat.” I told him that it was too late for candy. He looked at me silently and stood there. I closed the door. Then I heard the knock again but it was inside. I quickly ran into my room…It was here. Thank you Ms. Aybar and Mr. Joazard for pushing our 7th and 8th grade students to explore their creative talents! On November 19, we hosted the Early Learning Center Ribbon Cutting Ceremony, and it was a HUGE success. It was a great morning during which our school had the honor of hosting Governor Charlie Baker, Mayor Martin Walsh, Bishop Alan Gates, Boston City Council President Andrea Campbell, State Representative Russell Homes, Epiphany School trustees, community partners (The Parenting Journey, Cambridge Family & Children's Service, Codman Square Health Center, CPLAN, Fathers' Uplift, Inc., Jeremiah Program - Boston, Jewish Vocational Service, MassHousing, Room to Grow) and so many of our friends and neighbors! Thank you for coming to celebrate this historic milestone for Epiphany School. None of this would be possible without your abiding support. We are grateful for you! On Wednesday, November 7th, our friends at Boston City Singers brought the Imilonji Kantu Choir from Soweto, South Africa here for a concert. The choir has performed at many events around the globe including the inauguration of President Nelson Mandela and the elevation of Archbishop Desmond Tutu. The choir performed several powerful songs for our entire school community, then taught the students a songs and related choreography. They also shared lots of interesting information about their country and culture and answered lots of great questions from the student audience. It was a true honor to host the Imilonji Kantu Choir, and an incredible experience for the entire Epiphany community. Thank you, Boston City Singers, so much! Marilyn Rodman Theatre for Kids program sends Epiphany to Hamilton! On October 24th, thanks to Marilyn Rodman Theatre for Kids – an initiative of Rodman Ride for Kids – Epiphany School students and teachers were able to experience the wonder and excitement of Hamilton. We were among two-thousand Greater Boston youth who were able to attend the show at Boston’s Opera House thanks to the generosity of Don Rodman and his great organization. What an experience! Thank you, Mr. Rodman! On October 23rd, Mr. Deleveaux and the 7th graders hosted the Africa Yoga Project and its members, Mukisa Jackson Scott of Uganda, and Kennedy Omondi of Kenya, to teach yoga and dance. They also talked with students about Kenyan and Ugandan culture and impact of colonialism as an interesting complement to topics students are learning with Mr. Deleveaux as part of the history/social studies curriculum. The students enjoyed meeting them, and we hope they will come back again soon. Davonte is a pro at balance. And the Gold Medal Goes to…Ms. Ridge Madsen! Betsy Ridge Madsen has been here from the beginning – when Epiphany was just a dream – and she continues to stand with us each day as a dedicated volunteer, tutor and mentor focused on our environmental education and our gardening and greenhouse initiatives. Betsy has also been an amazing volunteer with the Massachusetts Horticultural Society. On Thursday, October 18th she received their gold medal in recognition of her years of dedicated service. The motto of the Horticultural Society is "Common Good," and Ms. Madsen is setting an inspiring example through her commitment advancing common good in our society. God bless her on the occasion of this well-deserved award. On Thursday, October 4th, Epiphany welcomed 10 visitors from Iraq accompanied by three U.S. State Department interpreters. 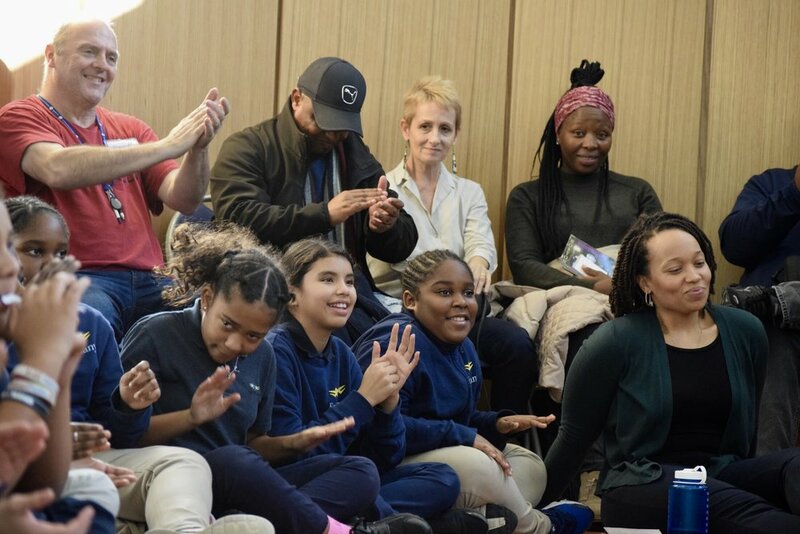 The visitors were brought by WorldBoston, the local World Affairs Council in Boston in partnership with the Massachusetts Department of Early Education and Care. World Boston collaborates with the U.S. State Department in hosting international professional delegations through the State Department-sponsored International Visitor Leadership Program (IVLP). The main goal of their visit to the United States of America was to get a better understanding of the U.S. system of education, explore the role of community-based, faith-based, and secular organizations on preventing and combating extremism, and confronting political, social, and economic challenges. Dr. Sanchez led our visitors on a tour of our Early Learning Center during which they asked lots of enthusiastic questions about Epiphany’s model and impact in the community. The visit was enlightening and inspiring for all. Today’s the day! It’s Giving Tuesday and as we kick off the season of giving we hope you will remember Epiphany again this year. Our Annual Fund season is underway. Please consider making a gift to Epiphany School by clicking here. Your generous support makes a HUGE difference! Another easy way to give while you shop is to visit Amazon Smile and select Epiphany. Give twice this year while holiday shopping at Amazon!